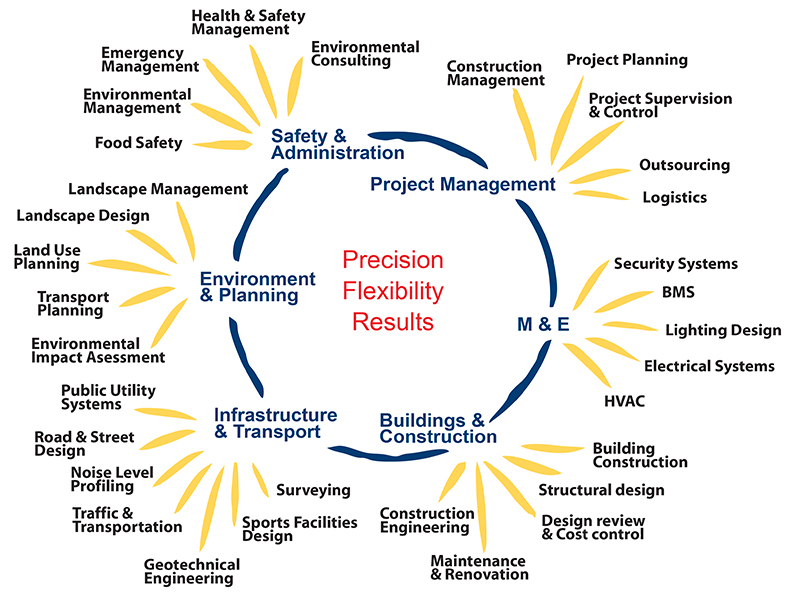 VSO Consulting provides its costumers with comprehensive engineering and management consulting. The company structure is split into seven different departments, including the office. The picture below shows the main service lines in the company.